Good quality product. Prompt delivery. 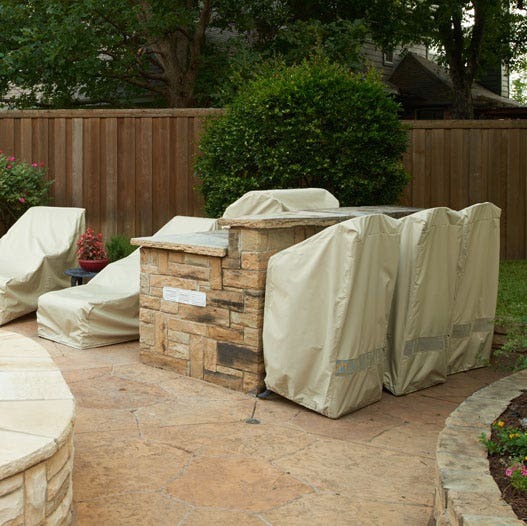 This log rack cover is a replacement for one from the Cover Store that lasted for years in all sorts of weather and direct sun. The quality of this cover is top notch. 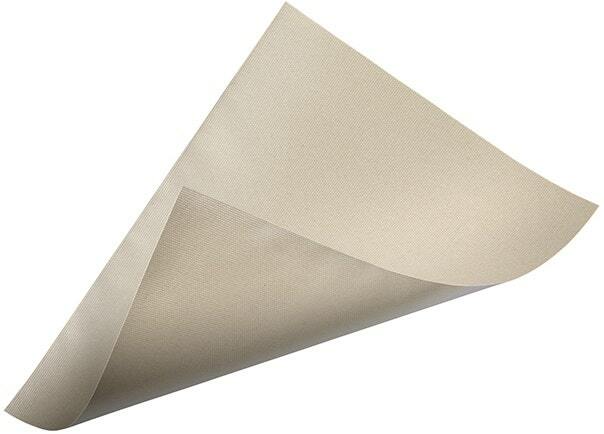 I am using it to cover a large water fountain fixture in my yard and it is perfect. I'd give you more stars if I could. Your products have been as expected - great. Your staff has always been very helpful. I made two outside work benches 2'x4' and the firewood covers fit it to a t.
Cover exactly as described. Used for bar cart and fit was perfect, while allowing access to cart storage via zippered opening. Arrived quickly. well-made, attractive cover that fits perfectly. 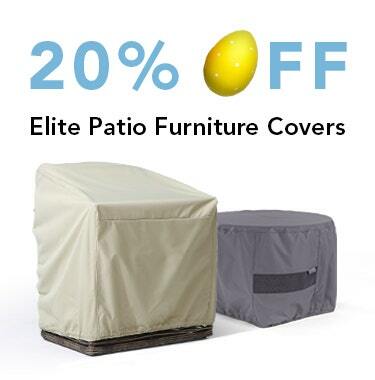 really protects wood from weather elements with zipper closure and elasticized bottom. easy to access. This is an attractive, well made, and functional product. I am very satisfied. Very good product. Working very well and easy to use. This is a very well made cover. I used it for a table saw that is outside on a patio. It isn't the exact perfect dimensions, but it is flexible enough to expand to the side to cover the motor as well as the saw top. Very happy with this cover. This was the second cover I purchased. Very good cover, the first one got ripped accidentally, otherwise it would have lasted a lot longer, had it for years. I recently purchased three new "small" log racks and went to the Cover STore to get the three covers I needed. 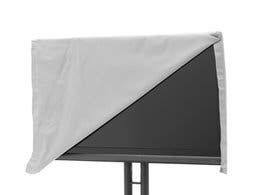 I am about to order a rack cover for a newly purchased large rack. and a cover for a large log rack we have had for years.. 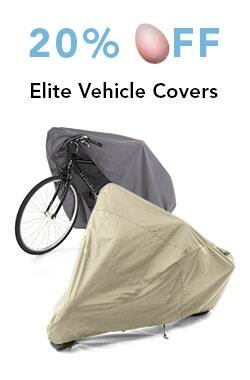 These covers are "lighter" thatn my older cover, but they are easier to handle, they "zip" effortlessly, and the just look good against my home and my ahead. 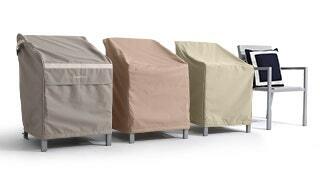 I bought 4 patio furniture covers and this log rack cover and would highly recommend them. They are heavy, well-made, attractive, and fit just as advertised. I'm definitely pleased with all of these items. Our Log Rack Cover arrived soon after we ordered it , fits perfectly, and protects our firewood from the rain.We are very happy with it. Great cover. Elastic at the bottom helps it stay in place and the zipper up the middle makes it easy to pull wood out. A bit large for my rack but this does give me the opportunity to widen wood stacking if I need to in the future.Like the elastic lower lining keeping it snug preventing wind from blowing it off.The front zipper for access to the wood is great. Sure beats the cheap velcro strips of other covers.Rain has been minimal so can't cant attest to dryness if a prolonged rain. But so far has kept wood quite dry.I would recommend! Love this cover! Fit's great, looks great! Very high quality material, heavy duty stitching, strong and convenient zipper. Highly recommended. This fits my log rack perfectly.  I am impressed with the quality of the product. I love the zipper up the middle making it easy to retrieve firewood. The cover is a perfect fit for the log rack. It looks like it will do its job of keeping the logs dry and stay put. 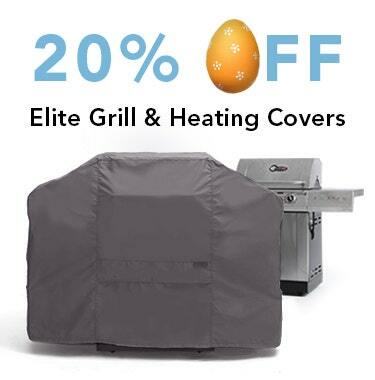 With the covered zipper in the front middle, it should make getting the logs easy. Can't wait to see how it will stand up to a Chicago winter. It came promptly after ordering with the warranty card. I purchased this cover not to cover firewood, but to protect my dock decking. Previously I stored all of my teak decking in a shed, until I found that Coverstore has a size cover to fit all of my decking stacked at the end of my seawall, high and dry,and covered for the winter. Good cover, good fit, we'll see how it faires over the winter months. Perfect fit, well made, good color, elegant. Very nicely boxed and shipped. I recommend it to everyone. We used this for a different purpose, but still love it. 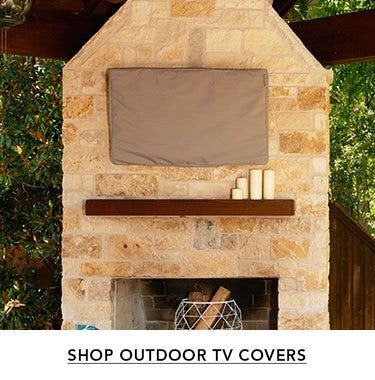 We use it to cover out outside television and stand. It definitely holds up to the South Florida weather. The cover is very nice. The dimensions and specs match, and the material is very sturdy. I bought the tan color, which turned out to be more yellowish than I was hoping for (would have preferred more grayish like the photos show). While it's not the most attractive color, it still looks 100 times better than a woodpile with no cover. And it's functional, which has its own kind of beauty. So far, it's surviving the cold, snowy Minnesota winter. Great quality on this product. 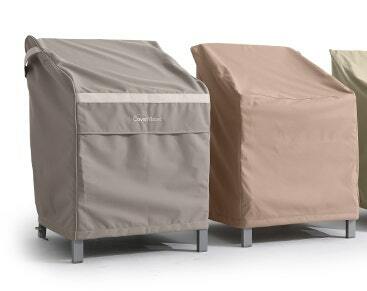 We hope it will help to protect our outdoor furniture from the elements of weather for many to come. 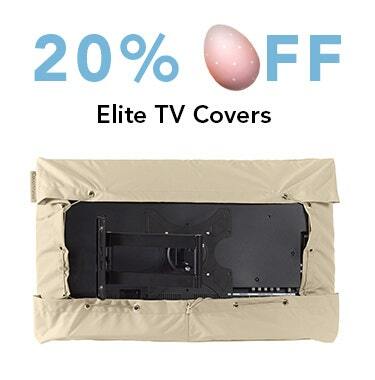 Perfect cover, great quality at a great price. 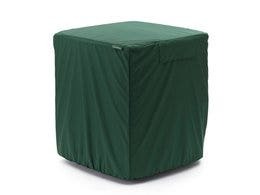 I bought this to cover a circular log rack. It is going to work out just fine. 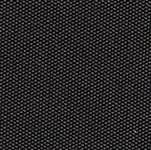 The zipper and elasticized hem are good features. I like the khaki color. In short, this was a very good purchase. The log cover was exactly what we needed, It's strong, fits perfectly and the zipper works effortlessly. My previous cover was was stiff, closed with velcro and terrible. Thank you for producing quality. The product is great. It fit my wood rack perfectly. 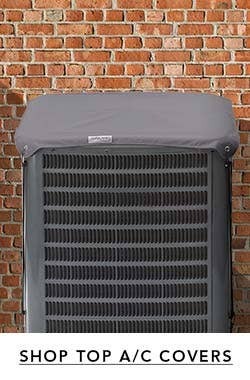 I searched the whole day to find a cover for my 17,5 kW Generac generator. It doesn't exist. I found this product that has about the dimensions I needed. It fit perfectly and the quality of the material is impeccable. 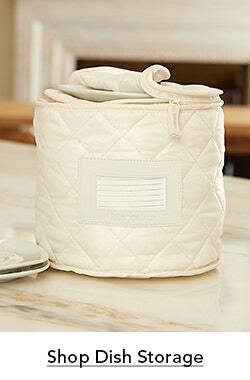 The zipper is very practical and the elastic border on the bottom snuggles around the machine to protect it. I can highly recommend this cover. Very fine craftsmanship ! 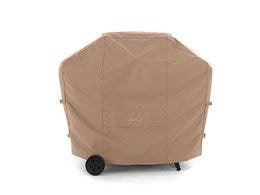 the material for this item was excellent--just to let you know we are not using it for a log rack, I purposely ordered it cover the handicap scooter &/or electric wheelchair; and it fits beutifully and covers all of the scooter plus snuggles down underneath and we carry both items (one at a time) on the handicap lift attached to the bumper hitch of the vehicle, of course , we have had to tie it down with straps to keep from blowing off, but the zipper in the front allows me to slide it on and off the scooter with eaze--we have told several of our friends about it so they are looking into this for their items. Nice new cover to keep my firewood dry. Only drawback is a single zipper in the center/front, where a zipper on each side of the front would allow better access. This cover was exactly what we have been looking for! 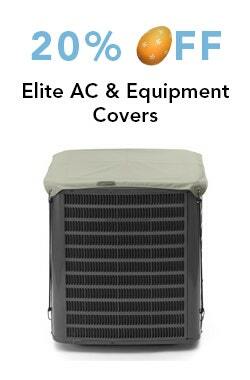 It's lightweight, yet sturdy and breathable, yet weatherproof. The stretchy cord at the bottom goes a long way in keeping the snow from the bottom logs and the covered zipper is MUCH stronger than our previous velcro closure. I would highly recommend this to anyone. Just like everything else I've ordered from the Cover Store, the log rack arrived in a timely fashion, is just as gorgeous and well made as the BBQ and chiminea covers, and now everything in my patio looks perfect. Thank you so much. Very Nice thick well-made cover for the wood pile. I would definitely buy it again. This is where I will look for any other covers that I might need in the future. Came fast, strong material, fits well. Would reccomend. Very good product. The quality is great! For example; the zipper works well and is very sturdy, and there's a snap at the bottom that is very strong and sturdy. It is large enough too that it fits very well down over the wood without restriction. Great product all around, you won't be sorry. overall I'm pleased with my new cover. it does seem well constructed and is a BIG improvement over the plastic junk that comes with the rack.For a log rack though, only opening at the bottom is a drawback. a zipper dual zipper that lets one open from the op would make this 5 out of 5. This is a well-made, nice-looking product at a good price. I had no trouble putting it onto the log rack, and I'm the kind of person who has trouble with things like that. I also like the zipper. My last cover had a flap closed by Velcro, which wasn't as easy to handle and didn't look as neat.